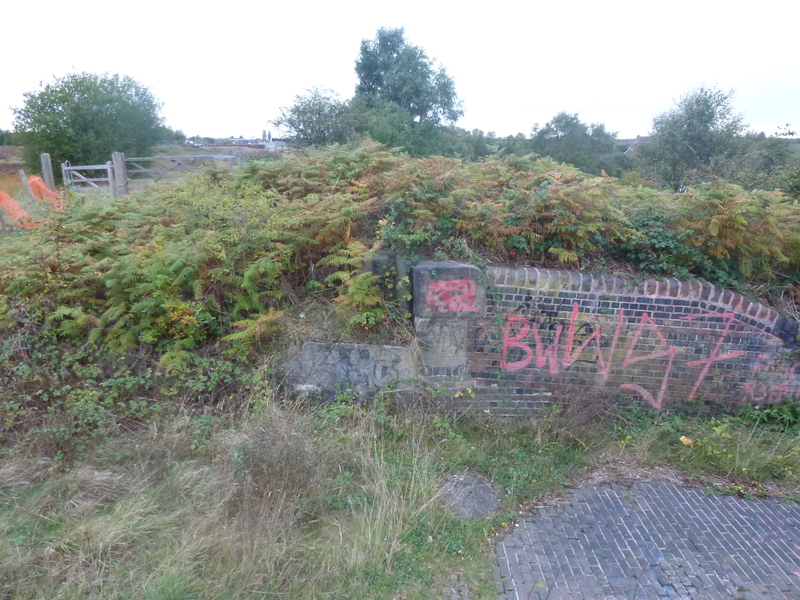 The recent attention paid by Dave Fellows, Graham Evans and Andy Dnnis, amonst others, to the long lost steam powered pumping station at Chasewater has caused some curiosity and no small amount of debate, particularly between myself and top local history ferret [Howmuch? ], who last night expended no small quantity of hot air and beer over the subject. What prompted that discussion in particular was an expedition I took out yesterday afternoon to look at the site of the former pump house and investigate the spillway arrangements, which I must confess have me quite intrigued. I thought I’d supply some maps and images and see what you readers make of them. First up, there’s an aerial image of the basin and former ‘Nine-Foot’ pool taken in May, 2010. The Nine-Foot was named after the measuring post that used to stand in the centre of the pond. Anglesey Basin and the spillway from the southern end of Chasewater Dam, May 2010. Click for a larger version. Even today, the spillway is still extant and stretches in a line from the dam bridge eastwards to the top of the brick sluice into the canal, opposite the overflow. 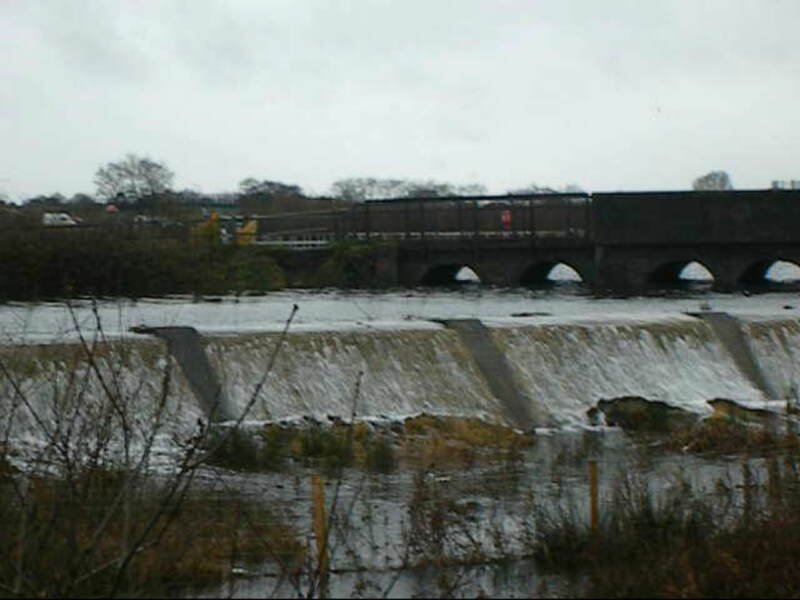 It can be seen that the overflow empties across the heath northwards to the Crane Brook, culverted under the new road. Yesterday, I investigated the brick-lined sluice. It’s an interesting bit of civil engineering. 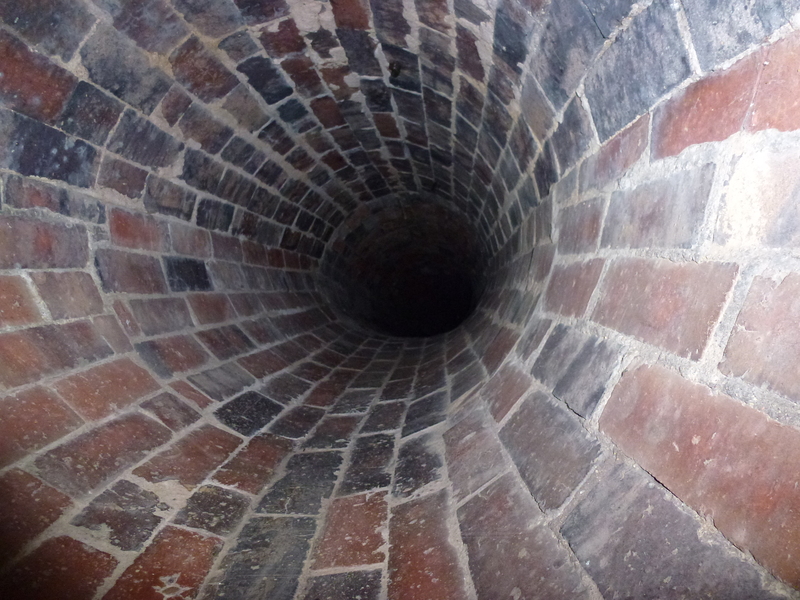 The brick sluice was built to last, and has been repointed in recent times. We think it's wide to spread the water out and mute it's coruscation into the canal. The top of the sluice. There must have been gates here, mounted from the sandstone blocks. I think there are overflow culverts either side, emerging halfway down. The overflow culverts are beautifully constructed and emerge halfway down, presumable to stop water overtopping the gating system at the top. Crawling into one, they sweep at a gentle right angle and head to the top. They are perfectly circular and in immaculate condition. This seems to me like a system designed to contain water, as well as provide an overflow path. The question is, why would water need to be contained here, at the same level as Chasewater, quite a few metres over the level of the canal? 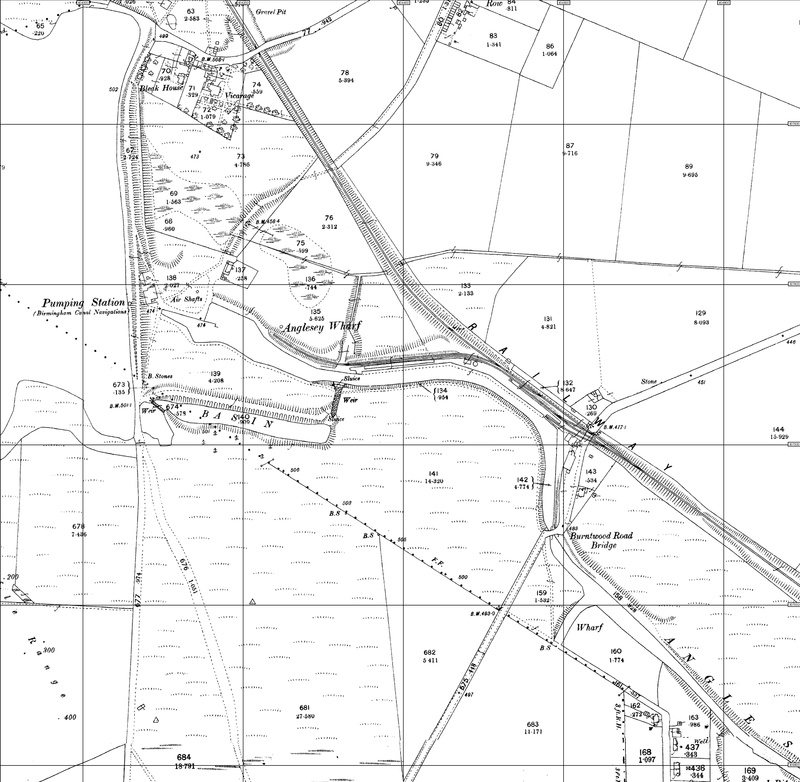 When the spillway was full – having wiered from the rear of the Nine Foot, water would have pooled in the channel to the top of the sluice – referred to as ‘Basin’ in the maps posted by Graham Evans. 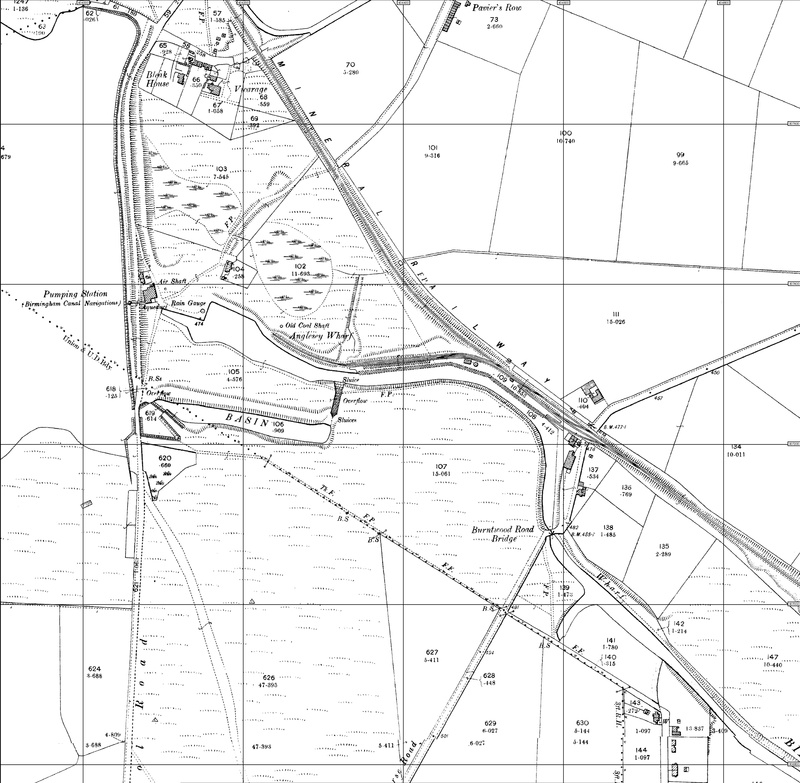 Form here, it would have overflowed into the canal below by means of the twin overflow culverts. What was the purpose of this body of water? The spillway is shallow and wide. Excellent for clarifying, perhaps? There’s several possibilities, I think. The steam engine would have needed a read supply of clean water. The canal water would have been an evil brew at the time – mixing raw sewage with spoil heap runoff and other industrial sediments. To use this water it would have to be settled. The spillway provides a shallow, easily cleaned settling pond. The gates could be opened in very bad overflow conditions. Water from a pump could also be fed here to settle before entering the lake. This isn’t as daft as it may seem – the Environment Agency created a system like this at Lea Marston for purifying the Tame, with a huge degree of success. Mapping from the earlier decades of the last century is very interesting. 1884 1:2500 draft of the spillway area. Note the air shafts and 'Pumping Station' location and label. There is water drawn in the spillway and labelled 'Basin'. Click for a larger version. 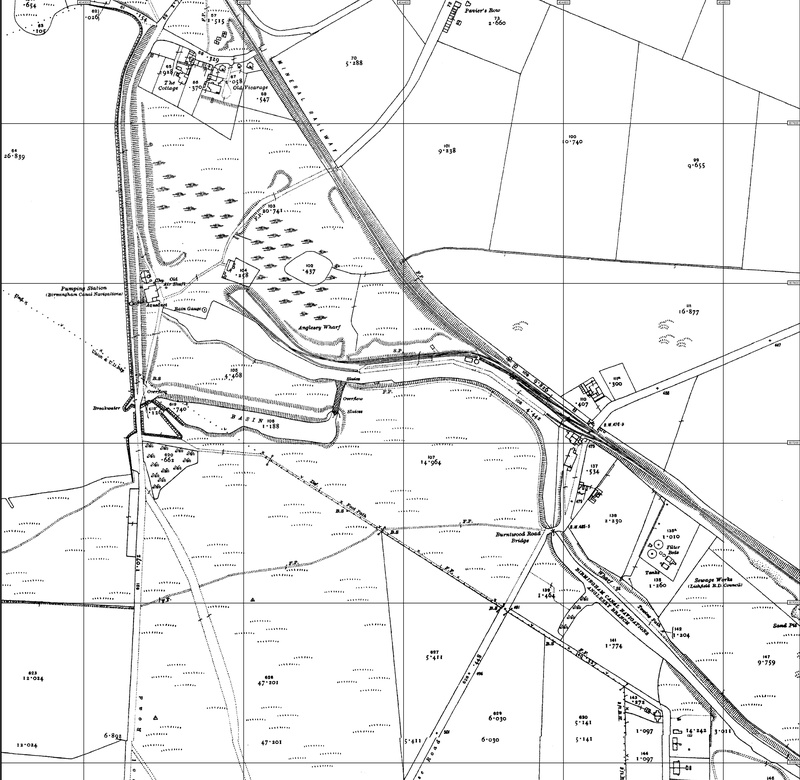 By this 1:2500 map of 1902, the label 'Aqueduct' bafflingly appears at the basin, and a rain gauge also makes an appearance. Wonder why? Click for a larger version. 1919, 1:2500. 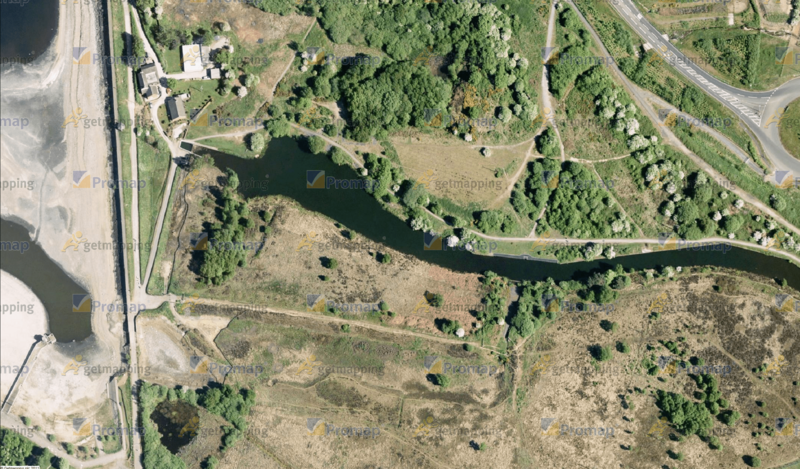 Note the chimney of the pumping station is marked, as is the culvert between the valve house on the dam and the pumping station. I'm finding this confusing, to be honest. Click for a larger version. The next decent plan is 1962. The spillway - or basin - is dry. The pump-hose is gone, but shadow of the rain-guage remains. What happened in the intervening period? 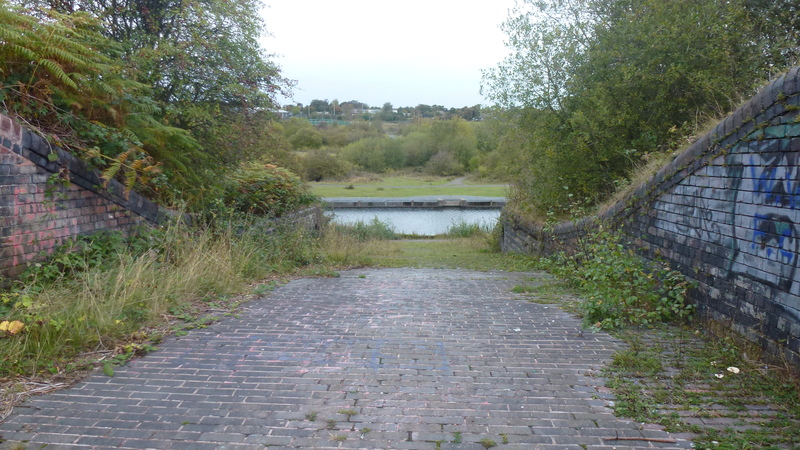 Loss of canal traffic, mine closures? Click for a larger image. To put it bluntly, I have little idea what’s going on with the arrangement here, and even less the pump. 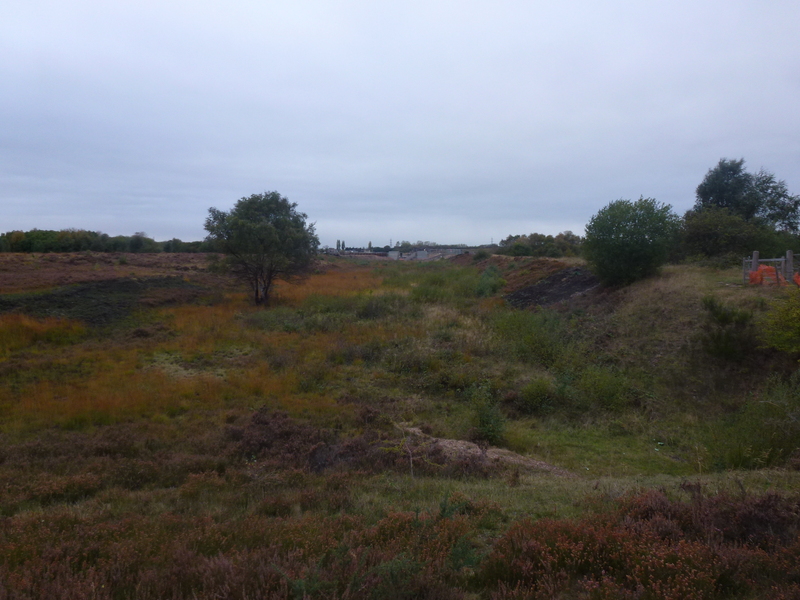 It’s clearly there to refill Chasewater, and the canal would have been using huge qualities of water when at full traffic, so conserving it where possible and feeding it back into storage would have made sense. If a canal ran out of water, it would not only be hugely embarrassing for the operators, but would have crippled local commerce. All comments, contributions and speculation welcome. The spillway did occasionally, still come into employment. This picture posted on Panoramio by Chasewaterstuff, John Daft. I don't know when it was taken, but seems to be fairly recent - possibly 2007. This entry was posted in Brownhills stuff, Chasewater, cycling, Environment, Followups, Fun stuff to see and do, Interesting photos, Local Blogs, Local History, Local media, News, Panoramio photo discussions, Reader enquiries, Shared media, Shared memories, Social Media, Spotted whilst browsing the web, Walsall community, Wildlife and tagged Brownhills, Brownhills local history, Brownhills Past, Canal, Chasewater, Chasewater Dam, Chasewater history, Chasewater Wildlife Group, Cycle rides, cycling, Dave Fellows, Graham Evans, local blogs, Local History, nine foot, Old maps, Reservoir, Spillway, Staffordshire, steam engine, Steam pump, Wildlife. Bookmark the permalink. 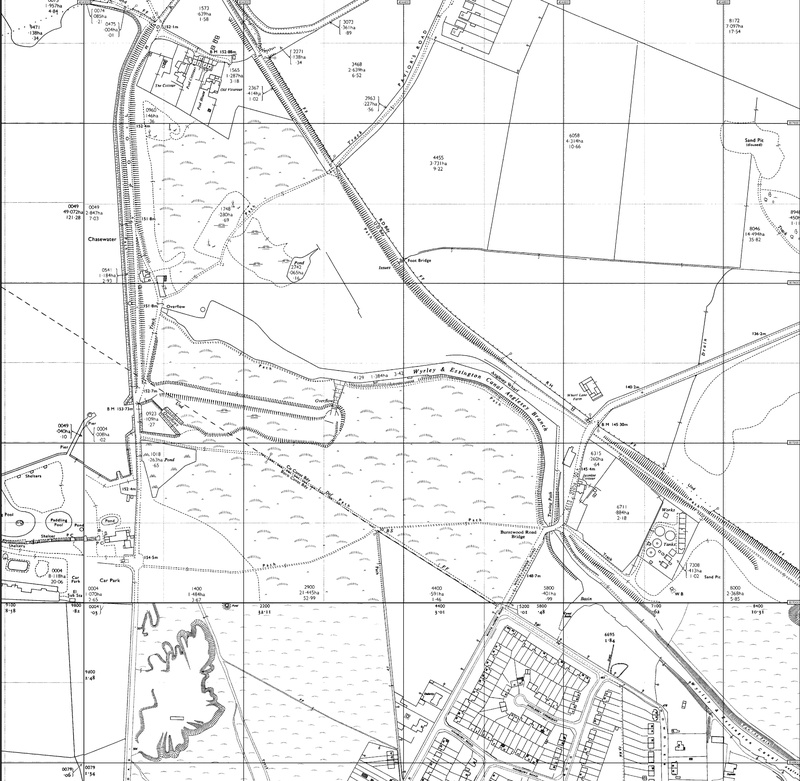 In ‘Canals of the West Midlands’ by Charles Hadfield, the map on page 256 shows the engine at Chasewater as ‘recirculating’, as against ‘supply’. Pumps such as this would have needed large amounts of water for condensing, which would not have needed to be as pure as that used in the boiler. Was the rain gauge used to determine the rate of water that needed to be pumped out of the reservoir into the canal? 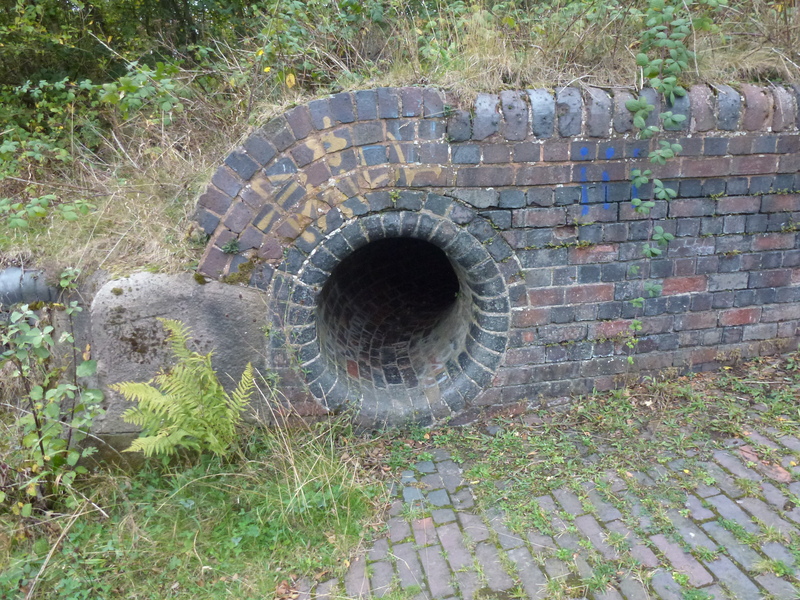 Due to my fetish for Victorian engineering brickwork, I’ve always been fascinated by those overflow culverts, how did they build those? only space to crawl through really. The basin and spillway must have been in use into the late 1880’s at least, as the inscription “BCN 1886” is on the iron work of what was some kind sluice gate? at the bottom of the slipway, so perhaps there was some renovation of some kind about then. Hello, The iron work which is dated 1886 may be supports for a foot bridge, I notice on the 1919 map there is a footpath which stops at the bottom of the sluice and starts again on the othier side. all the best to all on the blog. Whilst you were there inspecting the overflow culverts did you not notice that these went right into the overfow basin where there is another entrance which has got a grill on it. Also the overflow culvert does not overflow into the canal but under the canal into crane brook, which is what the ironworks is the entrance to a sluice of some kind. Did you crawl through the culvert and how long was it?